Beta Glucans comes in two main forms. One is derived from oats and barley and is termed Oat Beta Glucan. It has been proved to be moderately successful in reducing cholesterol levels and has received FDA approval in America and been approved by the European Food Safety Authority. It has since then been included in many breakfast cereals, and a wide variety of soft drinks. Some of the supplement forms produced use the wheat or barley and exhibit the beta 1.3 and 1.4 linkages. However another much more powerful form of beta glucan exists, it is much more effective, and uses the preferred linkages of beta 1.3 and 1.6. Due to being unable to patent it Pharmaceutical companies are against manufacturing it, but it is the type being offered by IAS. Beta Glucan is termed a supplement as it is regarded safe without any adverse side effects. One of its many uses is as a powerful immune enhancer, in fact in several trials it has been found to help combat a variety of syndromes including arthritis, Lupus, ME, fibromyalgia and sunburn. It can also help in both bacterial and viral infections such as the common cold, influenza, H1N1 Swine flu among many others. Beta Glucan is also an effective anti-oxidant, counteracting the ravages caused by negatively charged molecules of oxygen. Free radicals cause damage and premature aging. It can also lower cholesterol -reducing LDL and increasing the HDL serum levels. Improvements have also been shown in type 2 diabetes, in lowering glucose and insulin levels. The recommended preventative dosage is 400mg regularly and it is considered to be a product that should be taken by adult. Some trials have even shown that dog health and longevity can be significantly improved with Beta Glucan. Beta Glucan first came into known existence decades ago as an ingredient in many types of skin creams. The belief was that it had excellent healing, anti-wrinkle, anti-cellulite and other age-reducing attributes would enhance the effectiveness of their products. Beta Glucan has also been used in general protective creams, ointments and powders for several decades, it has been shown to increase collagen production, reduce age lines, crow’s feet, wrinkles, cellulite, acne, eczema, psoriasis and many other skin conditions. There are also signs it can be effective on post-operative skin conditions, scarring, dry skin, inflammation and herpes simplex. Skin care products must contain a minimum of 1% of beta glucan to show any positive effects, and no adverse effects have been shown. How is it that so few people in the Western world have ever heard of it? An article by a Singaporean medical journalist several years ago, might go some way towards explaining it ! He disclosed that some of the largest pharmaceutical companies had spent literally millions of US dollars to prevent the truth about Beta Glucan ever reaching the light of day ! When we look at just what this product can do, the reason becomes apparent ! Many pharmaceutical companies spend millions of dollars on research, yet it is estimated that less than 5% of the products they invest in, ever reach the marketplace. However, when a product is successful, it can result in profits running into $ billions for the company concerned. This is only possible of course if the company takes out world wide patents, but these may be of comparatively short duration, say 15 years, after which the product can go ‘generic’ . This means that other companies can then benefit from all the original research and production complexities and produce the same product for a fraction of the original price. Whilst the lower cost of generic drugs and supplements means good news for healthcare providers, customers and patients alike, one has to consider the position of Big Pharma and have some sympathy for their position. They have to answer to shareholders and are not there to provide altruistic solutions. Some have even cynically commented that their role is to treat conditions, not cure ! Beta Glucan (BG) has been in the public domain for a large number of years, so as such cannot generally be patented. This said, it would not then be in the interest of large pharmaceutical companies to manufacture it, however beneficial it might be to the world at large ! What is amazing is that this product has attracted no fewer than 12,600 entries on Google and 6,500 entries non PubMed alone, so how is that so few people have ever heard of it; even medical professionals in Europe or the West? It has even been said that BG could benefit every single man, woman and child on the planet ! How ? What does it do? The most important fact to realise is that there are two totally distinct types of this reasonably straightforward polysaccharide, which is called Beta Glucan. The first is Oat Beta Glucan which has a chemical formula of 1.3, 1.4 _D on the glucose chain. It has been approved by the FDA in the U.S. in 1997 for heart health claims, and more importantly was reaffirmed in a further ruling in 2003. Oat BG is one of only 4 products to be approved for effecting a healthier heart, and lowering blood cholesterol, with accompanying reduced risk of coronary artery disease. This led to approval by EFSA in 2010 – the European Food Safety Authority. It is now found in leading brands of porridge oats and similar foodstuffs, and even drinks. Beta Glucan has been the subject of an enormous number of trials, double-blind and otherwise, and no adverse side-effects have been encountered. Can Beta-Glucan interfere with other medications? Quite the contrary, Beta Glucan in many instances can complement and enhance the action of other medications or drugs. This is amply displayed when it is given in conjunction with conventional antibiotics, chemotherapy, radiotherapy, and many other drugs. At what age is it safe to start taking beta Glucan? It is quite safe at any age, but as aging proper is said to begin at 29, one should at least be choosing to supplement immune levels with Beta Glucan by then. At 29 there is a marked increase in free radical activity, which can be effectively countered by Beta Glucan acting alone, or in combination with other antioxidants. Is Beta Glucan a drug or a vitamin? It is neither, a drug normally exhibits at least some adverse side-effects. In addition, the main pharmaceutical companies do not want to produce it, as it has been too long in the public domain, and thus cannot be generally patented. Just one more reason why it should be treated as a nutritional supplement. How does Beta Glucan combat aging? As an immune enhancer, any increased immunity can only serve to help not only longevity, but quality of life as well. Conditions which Beta Glucan is employed to treat, would often be ones which would have an effect on one’s lifespan, and left untreated, could even result in death. Conditions such as dementia or specifically Alzheimer’s disease, cancer, HIV/AIDS, cardiovascular disease are all capable of shortening lifespan, but can be positively treated with the correct dosage of Beta Glucan. What are Beta Glucans? Where do they come from? Beta Glucan comes in two main forms. One is derived from oats and barley and is termed Oat Beta Glucan. It is a complex, though comparatively straightforward polysaccharide which is designated 1.3, 1.4 on the glucose chain. It has been proved to be moderately successful in reducing cholesterol levels in the body, and as such has received FDA approval in America and has been approved by the European Food Safety Authority in 2010. Since then, Oat Beta Glucan has been included in many breakfast cereals made by leading manufacturers and in a wide variety of soft drinks. But there is another and more powerful form of Beta Glucan, which is designated 1.3, 1.6 on the glucose chain, it is by far the more effective version, this is the type offered by IAS. The 1.3, 1.6 version can be obtained from Brewer’s Yeast and certain forms of mushrooms. It is a very powerful immune enhancer. As we grow older, our immune levels in the body decrease. In some cases, this is artificially induced, as when a patient is put on steroids, resulting in a marked fall in immunity, which needs to be corrected. In trial after trial, it has been found that beta-glucans can help to combat cancer, help in the fight against HIV, arthritis, Lupus, M.E, fibromyalgia, radiation sickness, sunburn and is one of the only products that can help in both bacterial and viral infections, such as the common cold, influenza, H1N1 Swine flu and numerous other similar conditions. It works best in prevention though it is becoming used more frequently in a remedial capacity as well. Although the recommended general overall preventative daily dose should be 400 mg, it is now being used by some doctors treating cancer and other serious conditions, up to 3,000 mg per day. It can be safely used in conjunction with other medication and treatments. It can be used by men, women and children, as well as animals. Dogs in particular, have responded well and found improved health and longevity, similar to the effect achieved in humans! 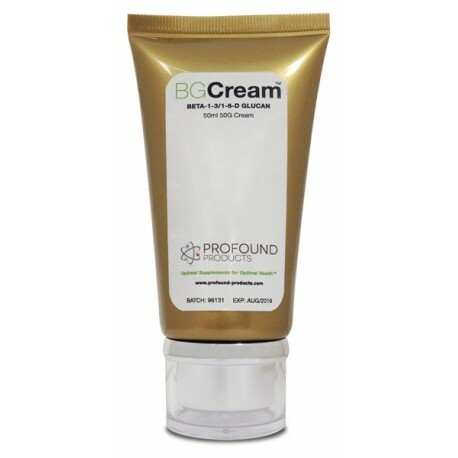 What is the beta-glucan cream for? 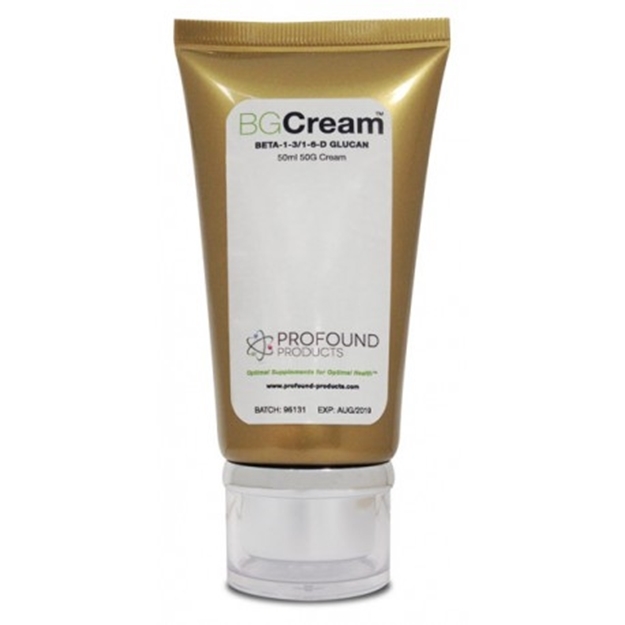 A British company has produced the world’s first 2% Beta Glucan cream, which can also be employed to combat various skin conditions such as acne, impetigo, eczema and psoriasis. Hertzog, Christopher. (2014). Beta Glucan – a 21st Century Miracle? Hertzog, Christopher. (2013). Live Younger, Live Longer! Mason, Roger. (2001). What is Beta Glucan? Ingredients: Aqua, Helianthus oil, Cetyl/ Cetearyl alcohol, Coccus Nucifera oil, Beta glucan 1-3, 1-6, Glyceryl Stearate, Theobroma Cacao, Prunus Amygdalus, and Simmondsia, Chinensis oils, Glycerin, PEG-100 Stearate, Tocopherol, Carbomer, Triethanolamine, Phenoxyethanol, Ethylhexylglycerin.